Your door is always open, regardless of your business or support hours. Today’s customers ask questions at any time of the day or night and will wait for you to respond (but not for long). This poses a challenge to most businesses: How can you anticipate which channels a customer will need or want, and how can you determine whether these channels will be efficient for your organization? The short answer is: you do. Customers want the ability to contact businesses in more than one way, and they expect each brand interaction to be consistent with the one before and after. 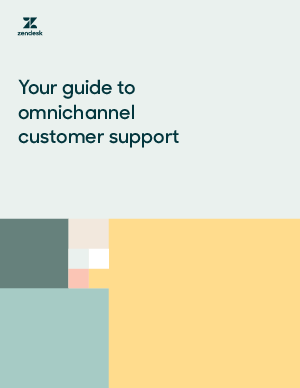 Learn how with Zendesk's Omnichannel solution.